To pre-moisten your sphagnum moss, soak it for 20 minutes then wring of excess water. 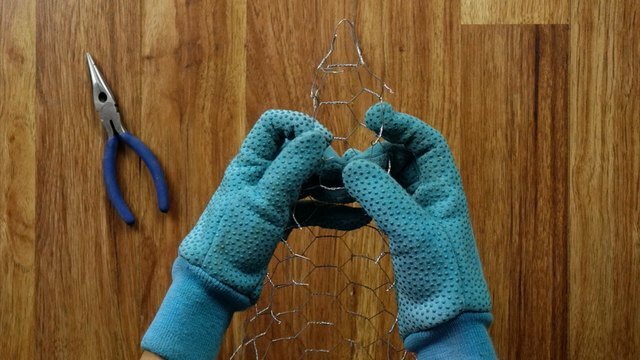 If you've never worked with chicken wire before, it might take a bit for you to get the hang of shaping it to your will. (If you don’t want to bother with this step, check out the tip below.) Put on your gloves to protect your hands from cut wires, then cut out a symmetrical triangle -- the dimensions of which depend on how tall and wide you want your tree to be. My triangle had a 16-inch width at the bottom and the point was 14-inches from the base. Of course, if you remember from geometry class, a 2D triangle joined edge to edge doesn’t form a 3D symmetrical cone -- a disc with a wedge cut out (like Pac-man) will do that. 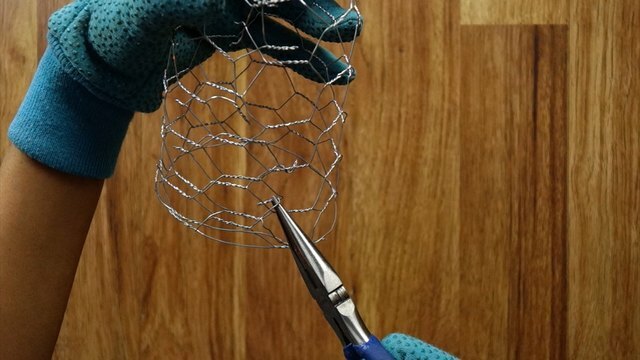 But cutting out a Pac-man-shaped piece of chicken wire is way more work! Instead, I overlapped edges of my triangle and molded the cone in order to get the symmetrical shape I wanted. To join one overlapped edge to the other, use pliers to bend and create gripping hooks all the way up the edge. 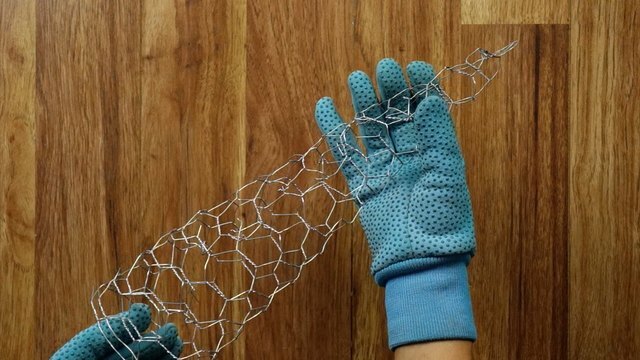 Don’t want to mess around with chicken wire? Wouldn’t blame you if you didn’t. 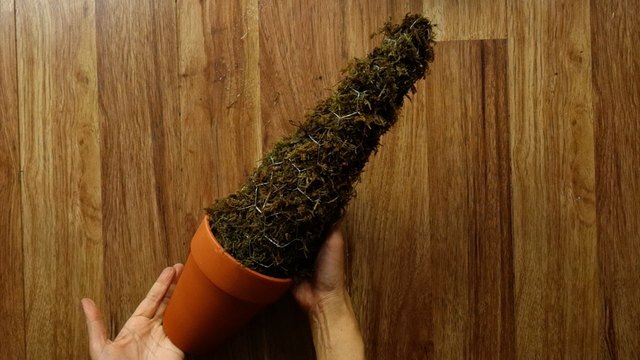 In which case, shop online for a ready-made sphagnum moss cone form. 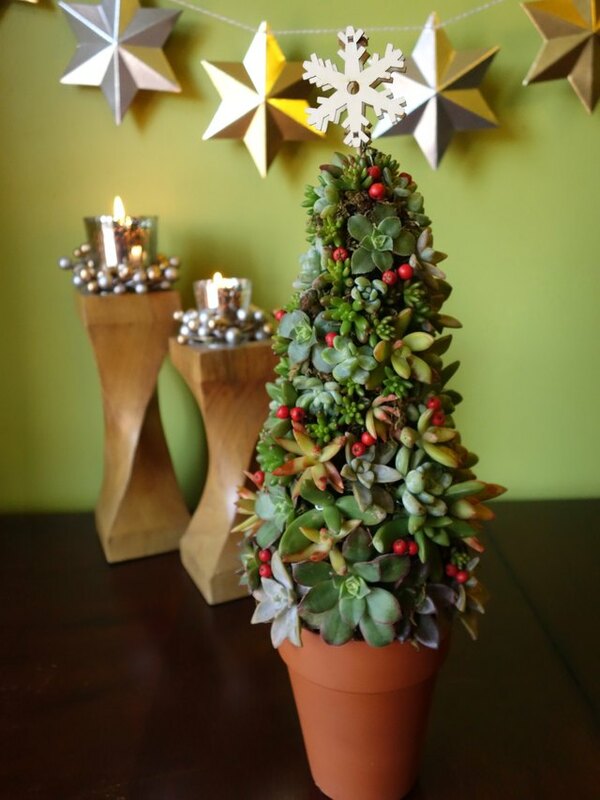 However, making your own allows you customize the size of your tree. 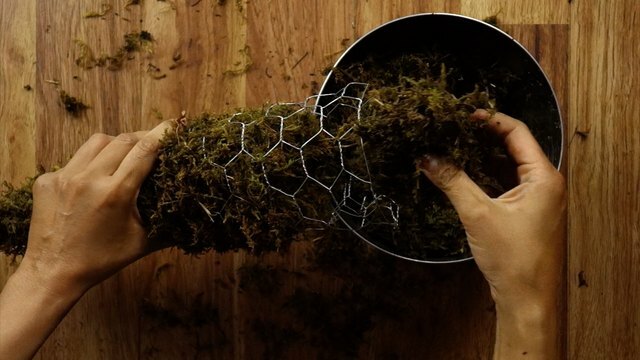 Take your pre-moistened sphagnum moss and densely pack it into your cone. Your succulent clippings should happily take root in this medium. Be sure to buy the long-fibered variety. Now, insert your form into your pot, weighted down with stones (or some other material that will give your base stability). The stones will also help ensure that your moss is properly drains whenever you water your tree. Choose a pot with a circumference slightly smaller than your cone, so that it fits snugly. 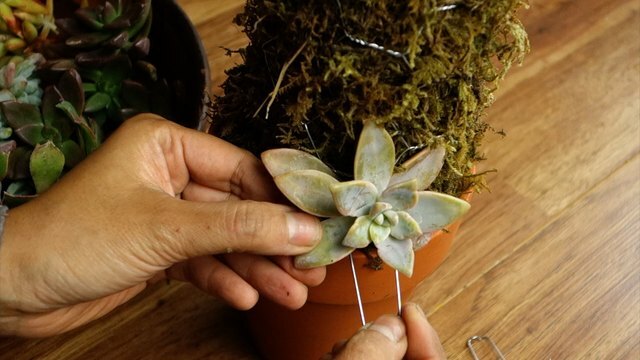 When taking your cuttings, make sure that you leave an inch (or so) long stem to insert into your form. 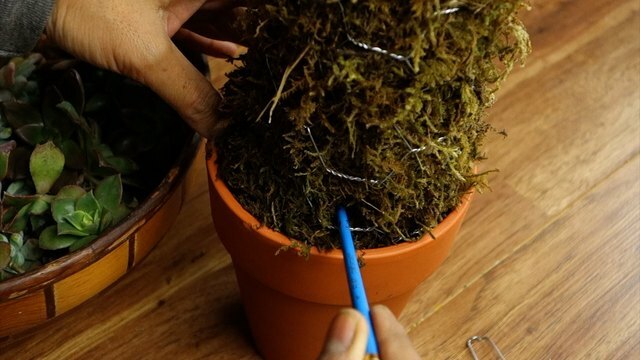 Using a long, thin object (a chopstick is perfect, but I used a thin paintbrush handle) create a hole and deep pocket in your densely packed moss to make room for the cutting stem. Insert the stem into the pocket and secure the cutting in place with a greening pin. Start from the bottom of your form up, using the larger cuttings at the base and smaller cuttings at the top. We suggest beginning with any rosette cuttings (e.g. Echeveria, Graptopetalum, Aeonium, Sempervivum) then filling in smaller holes with Jelly Bean Plants (see image below) and smaller Jade species. These are simply suggestions, so be creative! 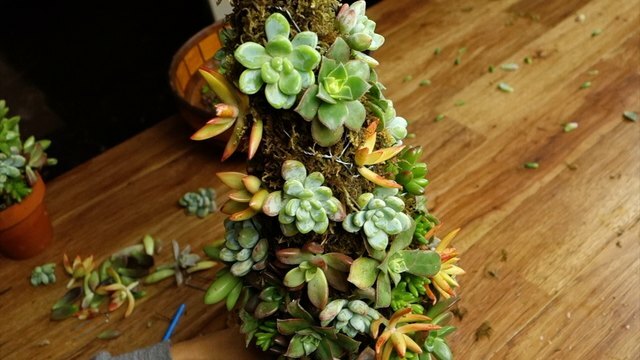 Simply repeat Step 4 until your cone form is covered with succulent cuttings. 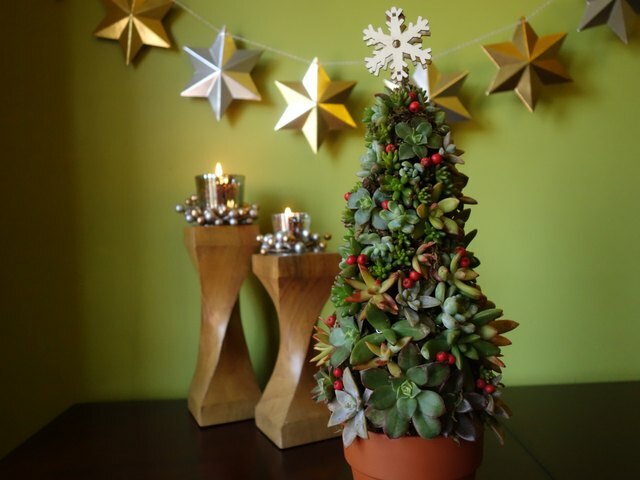 A living succulent tree is gorgeous without additional adornment, but if you want to create a festive table centerpiece, you might want to “Christmas” it up a bit with a mini Christmas tree topper, red berries (you can use faux berries, but I picked a few chinaberries (from a tree) that I plan to remove once they shrivel), mini ornaments, and/or mini tree lights. Caring for your tree is easy. 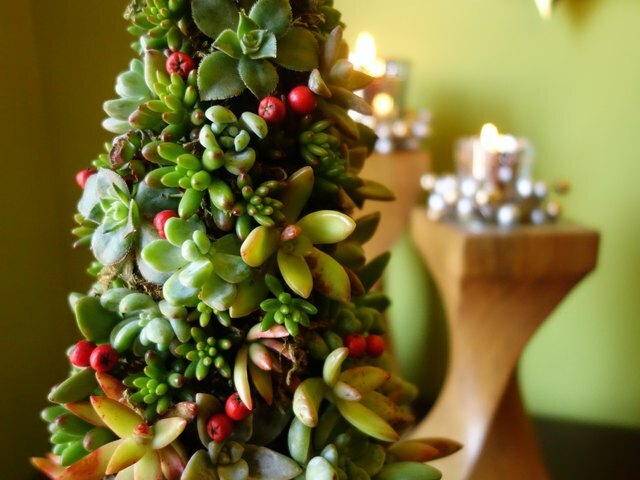 Place it in a sunny area and water it from the top whenever the moss becomes dry. However, these hardy plants can last for about a week in dry moss, so don’t fret if you forget to water. Prune down any plants that become too “leggy” and simply insert those shortened cuttings back into the moss. Protect it from very cold weather by bringing it indoors, or putting into a greenhouse. Now you can be merry all year round!